Market Intel: Liquid Biopsy – Ready For Prime Time? Liquid biopsy is a rapidly developing noninvasive technology for the early detection of cancer. Multiple companies have entered clinical testing, using mostly blood to detect circulating tumor cells and/or circulating tumor DNA. But urine and even cerebral spinal fluid are promising liquids too. Regardless of the fluid, testing costs a fraction of a traditional, invasive tissue biopsy and offers much quicker results. 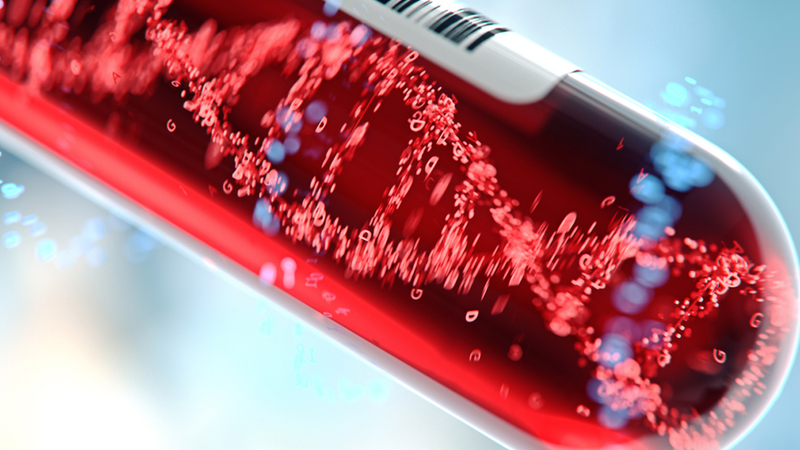 Could 2019 be the tipping point for the adoption of liquid biopsy? Many companies in the space hope so, although it remains to be seen how the information can best be integrated into the total management of patients. Len Lichtenfeld, interim chief medical and scientific officer for the American Cancer Society, said the advantages of liquid biopsy are still being developed. “Still, there are several opportunities where liquid biopsy can make a difference in cancer care today,” Lichtenfeld told Medtech Insight. However, in those situations where a satisfactory biopsy tissue is unattainable, “a liquid biopsy may be the only option to direct the patient’s therapy,” said Lichtenfeld (pictured on left). Nonetheless, there are potential liabilities to liquid biopsy, such as cases of detecting ctDNA for a cancer that cannot be located or for a cancer that may be inconsequential, according to Lichtenfeld. As far as using liquid biopsy in the everyday practice of cancer medicine, Lichtenfeld said the medical community has yet to answer all the questions necessary to determine the right sequencing and timing of these tests, plus how to optimize its use for the most effective and appropriate management of patients with cancer. Pancreatic and ovarian cancers are just two of many cancers where cell-free DNA could potentially be very helpful, according to Lichtenfeld. “But the science of applying this technology is complex and will take time and effort to ensure that we do not repeat the errors of the past,” said Lichtenfeld. “By indication, we expect lung, breast, prostate, colorectal and pan-cancer testing to drive growth over the next several years,” said Mika Wang, head of product strategy and co-author of the firm’s Global Liquid Biopsy Manufacturing Market Report and Stakeholder Toolkit. 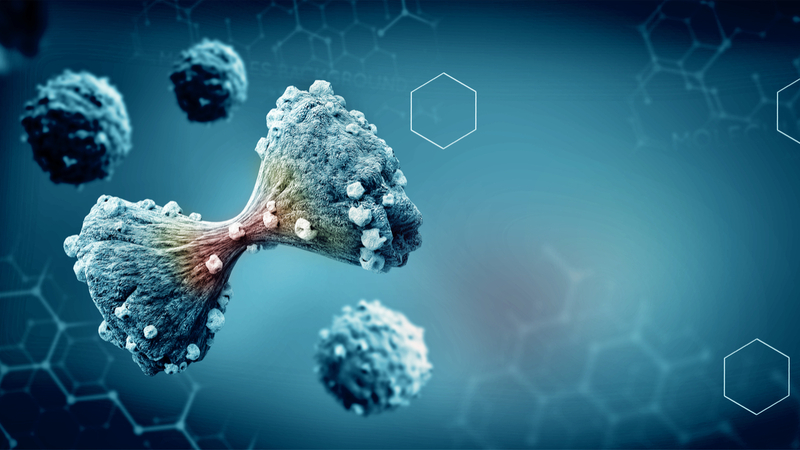 “Some of the less common cancers in our global liquid biopsy database include nasopharyngeal carcinoma, hepatocellular carcinoma and brain and spinal cord tumors (gliomas)," Wang told Medtech Insight (see photo below). She believes that next-generation sequencing (NGS) and droplet digital polymerase chain reaction (ddPCR) will be the main growth drivers in this market. For example, Freenome Inc.. and Biognosys AG recently teamed up to join Freenome's deep sequencing and artificial intelligence (AI) capabilities with Biognosys’ protein quantification. CancerSEEK, developed by researchers at Johns Hopkins, also analyzes DNA and protein biomarkers. "Other technologies are still very much in the research stage; for example, aptamer-based approaches to profile extracellular vesicle surface proteins,” Wang said. “We hear about new companies and novel approaches nearly every month." Despite a rosy future for liquid biopsy, Wang said, three challenges remain: variability in the level of circulating analytes by cancer type and stage, limited concordance data between blood and tissue results, and a lack of standardization across various liquid biopsy tests. Limited or delayed reimbursement by commercial payers also slows clinical adoption, with many private insurers withholding reimbursement unless patients meet specific criteria like late-stage metastatic non-small cell lung cancer (NSCLC), DeciBio report co-author Jessica Lee told Medtech Insight. “Patients with private insurance will likely be asked to pay out of pocket," Lee said, adding strong clinical utility data, along with inclusion in major guidelines, “will help to accelerate coverage and adoption of liquid biopsies." For instance, Guardant Health Inc. recently published a study in JAMA Oncology demonstrating superior performance of G360, a blood-based assay for advanced-stage cancer patients, over tissue in identifying targetable mutations for advanced NSCLC. 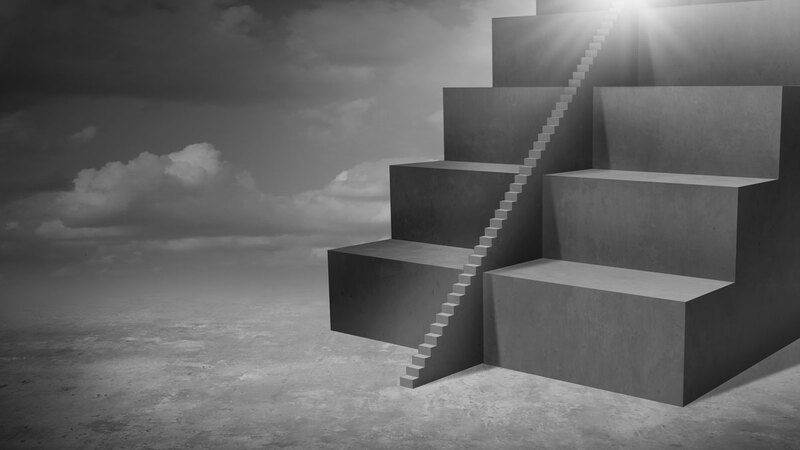 The US FDA granted G360 breakthrough device designation in 2018. The test is currently covered by over 10 private payers, representing over 115 million covered lives. Wang and Lee also cited numerous public-private partnerships. Among them is Tempus, a cancer data technology company that is building the world's largest cancer data repository, offering services to oncologists, patients, biotechnology companies and academic and research institutions. "With access to patient data, diagnostic companies are in a better position to prove clinical validity and, ultimately, actionability of their tests," Wang said. Madison, WI.-based molecular diagnostics company Exact Sciences Corp.. teamed up with the Mayo Clinic in trying to identify biomarkers for the 15 deadliest cancers. One of these cancers is hepatocellular carcinoma (HCC), which comprises nearly 90% of all liver cancers and is the fastest-growing lethal cancer in the US. Last June, the team at Mayo shared an update on the viability of blood-based detection of HCC, showing 95% sensitivity and 93% specificity across all stages of the disease. “While we iterate to confirm this data, it shows the potential for liquid biopsy in the detection of HCC,” said Graham Lidgard, chief science officer for Exact Sciences Corp.
“Each exploration offers new insights on the opportunities, barriers and questions that can be investigated about the evolving category of liquid biopsy in disease detection.” Similar to its at-home, multi-target stool DNA test, Cologuard, the company’s research of liquid biopsy is focused on finding the presence of specific methylation markers from ctDNA, combined with other biomarkers in blood, to detect cancer. "A more diverse set of markers are needed to improve current technologies and expand access to detection of early-stage cancers,” Lidgard told Medtech Insight. Through whole-methylome DNA sequencing, the company has identified methylated DNA markers (MDMs) in HCC tissues and has shown that these MDMs are highly sensitive for HCC in Phase I pilot testing on plasma. Exact Sciences continues developing a panel of novel, blood-based DNA biomarkers to identify cancer earlier. San Diego, Calif.-based BioFluidica Inc. developed the Liquid Scan microfluidic chip that can both monitor and detect circulating tumor cells through a simple blood test. “Our technology is sensitive enough to detect early, presymptomatic cancer,” BioFluidica's CEO Rolf Muller told Medtech Insight. The noninvasive, programmable chips are also fully scalable on the instrumentation side by injection modeling to manage large cohorts of patients. “We can manufacture up to one million chips a year,” Muller said. The company’s technology has been validated clinically to detect nine solid tumor types, including lung, pancreatic, ovarian and breast cancer, through epithelial markers, among other biomarkers. For lung cancer, in the presymptomatic stage of disease (Phase 1 and 2), cells are found and isolated using the Liquid Scan. Two newly published studies in Lab on a Chip and The Cancer Journal “show that our technology can be used not only for rare cell isolation, but for cell-free isolation and exosome isolation as well,” Muller said. The company recently presented findings suggesting that its LiquidScan test can detect 10 to 100 times more fetal cells than any previously reported technology. BioFluidica has two ongoing clinical trials: one to detect acute myeloid leukemia (AML) and another to detect childhood acute lymphoblastic leukemia (ALL). “We are replacing bone marrow biopsies with a normal, simple blood test,” Muller said. Compared to bone marrow biopsies that are painful and costly (between $6,000 and $18,000), BioFluidica wants to offer a simple blood that costs significantly less than current procedures. BioFluidica hopes to raise $20m in a second tranche of a B round this year. Last November, BioFluidica received about $2m in ongoing NIH grants. Another San Diego-based firm, Biocept Inc., meanwhile, has developed two Target Selector platforms, which interrogate and analyze CTCs and ctDNA, respectively. “Most liquid biopsy companies are limited to CTCs or ctDNA,” said Mike Nall, Biocept's president and CEO. “But from the same blood draw, we can evaluate both tumor cells and tumor DNA, and therefore, gain more information than what is possible with only one of the two tests alone.” For detecting CTCs, Biocept has its own device and chemistry to capture the cells. “Our device is clear and shaped the same as a glass microscope slide, with a workflow similar to that used in pathology,” Nall told Medtech Insight. The cells are stained with immunohistochemical or fluorescence in-situ hybridization (FISH) to be able to look at protein, such as PD-L1 and ER/PR status, or DNA changes. For the ctDNA platform, a patented switch blocker technology suppresses normal DNA and allows for the amplification in a targeted region likely to harbor oncogenic mutations, such as EGFR, KRAS, BRAF and others. “This technology allows for high sensitivity and specificity, along with low costs,” Nall said, adding for the two platforms as a whole, “We report out meaningful genomic and proteomic results that physicians rely on to make treatment decisions." The company’s technology primarily targets lung, breast and prostate cancers, but has been validated for many types of tumors as well. He said the average cost for testing is about $1,200 per patient, which compares to roughly $14,000 for a tissue biopsy "when things go right." "When things go wrong, one study found that the price can escalate to more than $60,000 when the patient ends up in ICU," he added. Biocept wants to distribute its research-use-only (RUO) lab kit to core lab locations outside the US, most likely the Middle East, Asia and Latin America. Last October, at the IASLC World Conference on Lung Cancer in Toronto, Canada, Biocept also presented data in partnership with New York City-based biopharmaceutical company Kadmon Holdings Inc. that showed meaningful tumor information could be extracted from cerebral spinal fluid (CSF) for patients with leptomeningeal carinomatosis (LC), a rare metastatic cancer of the brain. “Due to the blood-brain barrier, you might find discordance between what is found in the blood and what is going on in the brain,” Nall said. “CSF is a real viable source for this information.” Biocept plans to conduct further studies of CSF as a specimen type, using the company’s core technology. But Nall said urine as a specimen has fallen somewhat out of favor for molecular profiling of cancer -- not because it lacks viability -- but because oncologists do not routinely test urine in their practice. Instead, patients routinely have blood drawn for complete blood count (CBC) and other testing, which makes it easy to send a sample to Biocept. Nall believes that liquid biopsy will soon become mainstream. "It is now in the guidelines for patients with lung cancer who do not have enough tissue in the biopsy. United Kingdom-based Angle PLC has developed the CE-marked Parsortix cell separation system (see photo below), which is a proprietary microfluidic device for capturing and harvesting CTCs and other rare cells from blood for subsequent analysis. The company announced on March 7 that a study involving 400 subjects – 200 metastatic breast cancer patients and 200 matched healthy volunteers – that aims to show that Angle's Parsortix system is able to harvest cancer cells for analysis in a large population of women with metastatic breast cancer, and not from healthy volunteers, completed enrollment. In addition, two recent 200-patient studies to determine the presence of ovarian cancer in women having surgery for abnormal pelvic mass have successfully completed, and the lead study has shown 95.1% accuracy, Newland said. In January, Angle published findings from a mouse study conducted at the University of Basel in Switzerland in the medical journal Cell that "highlights the potential for a new approach using Parsortix as a companion diagnostic alongside FDA-cleared drugs for non-cancer conditions to dissociate CTC clusters,” Newland explained. The company tested the Parsortix system in 80 mice with breast cancer and found a 80-fold decrease in cancer metastasis. The University of Basel is now preparing to start human trials in breast cancer. “Basel’s work offers a potentially new approach to cancer treatment with reduced toxicity, which may reduce the metastatic spread of cancer that accounts for over 90% of cancer deaths,” Newland said. For research use, the Parsortix consumable cost is $100, whereas for clinical use the price will depend on the application. “Our platform is high performance but also low cost,” Newland said. Liquid biopsy is fast emerging to drive personalized cancer care, particularly for therapy selection and detection of cancer in high-risk groups. “Liquid biopsy improves patient care whilst also reducing health-care cost by avoiding ineffective treatment,” he said. Inivata Ltd.is a US and UK-based liquid biopsy company, with two technology branches: the InVision liquid biopsy platform, which analyzes ctDNA, and the lead product, InVisionFirst-Lung, which offers clinicians molecular insights that allows them to make better treatment decisions for advanced NSCLC patients. Last week, Inivata achieved a major milestone when the Medicare Administrative Contractor that evaluates diagnostic technology through its laboratory technology assessment group, Palmetto GBA LLC, agreed to provide coverage for InVision First-Lung for all fee-for-service Medicare patients in the US with advanced NSCLC starting April 8. On March 7, Inivata also published results from a 214-advanced NSCLC patients study showing that its liquid biopsy test detected mutations in 77% of patients through ctDNA analysis vs. 78% for tissue molecular analysis (n=87). The InVision assay showed sensitivity of 81% for core gene variant panel and specificity of 97%, the company said. 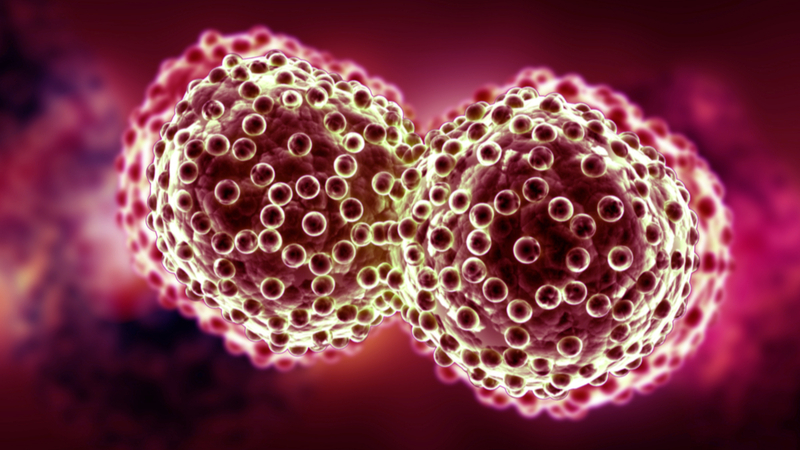 "This is a major milestone for Inivata and an important step for many patients with advanced Non-Small Cell Lung Cancer for whom tissue-based genomic profiling is not possible," Morris said in a statement. He added that tissue biopsies are expensive, highly invasive and carry significant risk compared to liquid biopsy, which is non-invasive and offers much faster results. In a study of lung cancer patients, InVisionFirst-Lung detected 26% more actionable mutations than conventional tissue biopsy. InVisionFirst-Lung has been commercially available in the US since January 2019. He said the final cost of the test for the patient will be determined by Medicare and private payer coverage policies for Inivata’s technology. Morris echoed others, saying that ctDNA-based liquid biopsy continues to push boundaries of diagnostics and disease monitoring. Initial indications from liquid biopsies allow for better selection of therapies for patients. The next logical step would be to use the same technologies to monitor patient responses to these therapies and identify resistance mechanisms. “This would guide the next step of that patient’s cancer treatment and the potential discovery of new therapeutic targets," Morris said. Subject: Market Intel: Liquid Biopsy – Ready For Prime Time?